At Dentistry on 7th, Hamilton we are proud to offer Laser Dentistry. The Fotona Lightwalker utilizes hydrokinetic technology to remove hard and soft tissue with laser-powered water droplets. There is no heat and no vibrations and it is completely safe. The Fotona Lightwalker functions are a combination of precisely mixing atomized water and laser energy to gently remove hard and soft tissues. With this precise laser treatment there is no need for anesthesia. 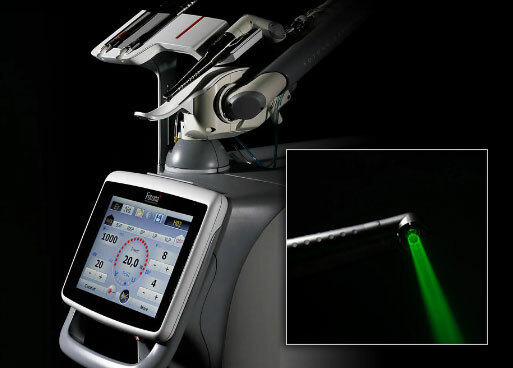 In addition, the laser sterilizes the surgical area, meaning that there is less chance of bacterial invasions, and infections. For children and the fearful patients, the dental laser offers an injection-free and pain-free way for achieving the perfect smile. The LightWalker Laser increases your comfort level and reduces anxiety. It is one of the least invasive, most effective tools that dentists have at their disposal and can significantly improve the health of your teeth, restoring the beauty of your smile!